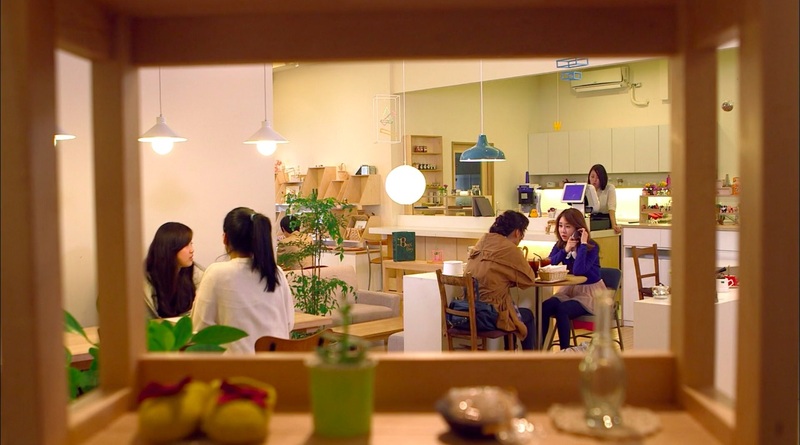 Choi Hee-jin (Yoo In-na) sits at this cafe with her manager Jo Soo-kyung (Ga Deuk-hi) in episode 5 of Queen In-Hyun’s Man (인현왕후의 남자) (tvN, 2012), when she receives a call from Kim Boong-do (Ji Hyun-woo) on her mobile phone. Though Soo-kyung had initially warned her against picking up the phone, Hee-jin eventually does, and learns that he’s in Jeju-do. 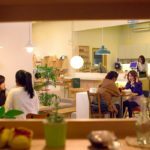 This branch of 5Cijung Café [카페오시정] was located in Seoul’s neighborhood Seogyo-dong [서교동], in the Mapo District [Mapo-gu/마포구], that makes up parts of Hongdae [홍대]. As of 2014, the cafe is no longer in operation, and is now a Studio Ghibli Collection Store (도토리숲 홍대점). It sits on the same street as Green Cloud Coffee Shop [그린클라우드커피], a 4 minute walk away. Note that this cafe is no longer in operation.